Note: Activity locations are given between parentheses! From Amsterdam Airport Schiphol (AMS) you can best take the train to Delft station via Leiden and the Hague HS station (not CS! ), where you need to transfer. The train takes about 45 minutes, depending on the connection. A one way ticket, which can be purchased on Schiphol Plaza, costs about 9 euros. The closest station to the faculty of Aerospace Engineering is Delft Zuid (South) station. From to Rotterdam - the Hague Airport (RTM), which is situated about 10 kilometres from Delft, you can use the regular bus connection with Rotterdam Central Station (nr. 33) and get a bus or train from there or get off at bus stop "de Lugt" and transfer to bus 40. This bus stops the faculty of Aerospace Engineering. If you would prefer to take a taxi: the taxi rank is located outside the arrivals area. The faculty of Aerospace Engineering is located at Kluyverweg 1, 2629 HS in Delft. The travel directions to get to the faculty of Aerospace Engineering by car or train from Delft South station can be found here. A map with an overview of the Delft University of Technology campus can be found here. The faculty of Aerospace Engineering is marked with number 62. For other public transport options, use the Public Transport Journey Planner. Rates are only available through website, email or phone of the hotel itself with mention of CATO 2015 / CE 2015.
deplataan.nl/eng/ € 94.50 single room. € 103.50 double room 15 rooms reserved till 31 May a.s.
the 22nd ISPE Concurrent Engineering Conference. 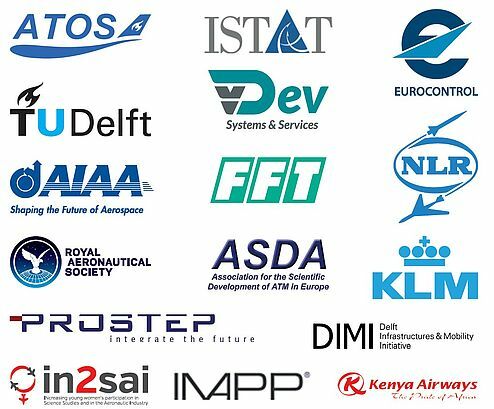 The symposium will be organized and hosted by the Faculty of Aerospace Engineering of the Delft University of Technology, in Delft, The Netherlands. You are invited to submit an abstract on any of a range of topics covering air transport operations. 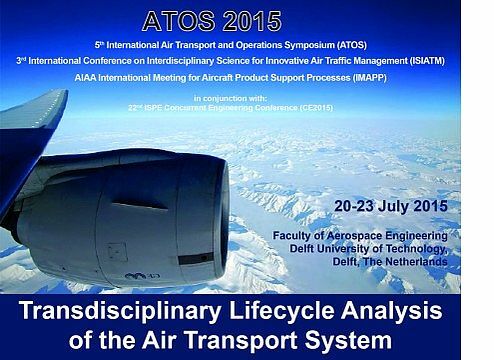 Abstracts (400 words) can be submitted through e-mail to ATOS-LR@tudelft.nl before 30 January 2015. CATO 2015 template (not for ISPE CE2015), use to gather and save information before submitting. An abstract template for ISPE CE2015 will be made available soon. Abstract acceptance will be communicated before 14 February 2015. After abstract acceptance, the authors will be invited to submit a full written paper. The submission deadline is 14 February 2015. Papers will be peer-reviewed and the final revised paper will be included in the ATOS conference proceedings. In addition, authors of excellent papers are invited to submit an augmented manuscript to the Journal of Aerospace Operations (published by IOS Press): the world’s first journal dedicated to the domain of aerospace operations. Oral paper presentations take place in chaired sessions and are 25 minutes in length including questions and answering time. A no-paper-no-podium policy is applied.